← Is Lemurian Agate Real? This is what the Ouroboros ring is looking like lately. Should be quite suitable to include in my scene with just a little more touch up. This is skinned and rendered with Vue. 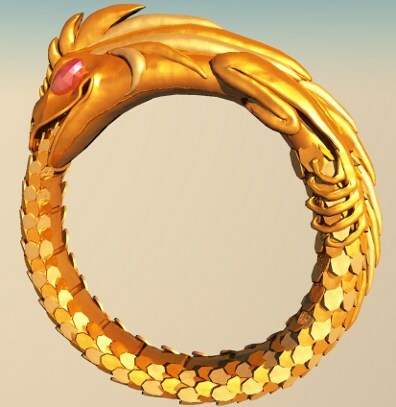 This entry was posted in 3D Digital Graphics, Art in Progress and tagged 3D modeling, fantasy, jewelry, Ouroboros, ring, Vue. Bookmark the permalink.